Then Supreme Court nominee Brett Kavanaugh testifies before the Senate Judiciary Committee on Capitol Hill in Washington, Sept. 27, 2018. Chief Justice John Roberts is referring complaints against new Supreme Court Justice Brett Kavanaugh to federal judges in Colorado and neighboring states. 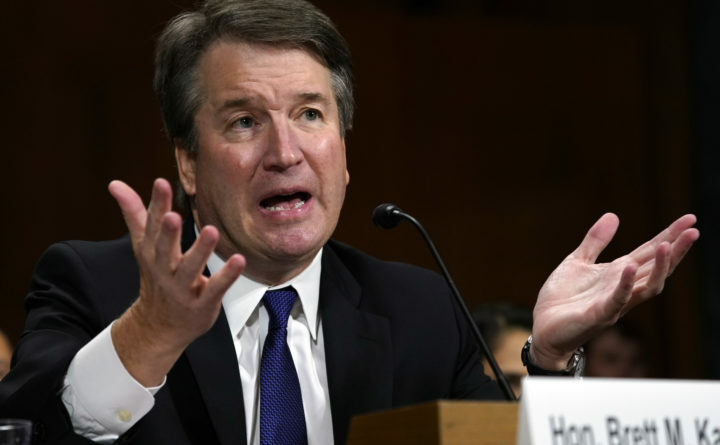 WASHINGTON — Chief Justice John Roberts Jr. on Wednesday referred more than a dozen judicial misconduct complaints filed recently against Brett Kavanaugh to a federal appeals court in Colorado. Last month, a judge on the U.S. Court of Appeals for the District of Columbia Circuit asked Roberts to refer the complaints to another appeals court for review after determining that they should not be handled by judges who served with Kavanaugh on the appellate court. The Denver-based appeals court is led by Chief Judge Timothy Tymkovich, the former solicitor general of Colorado who was nominated to the bench by President George W. Bush. The 10th Circuit handled another recent judicial misconduct case from Washington involving the former chief judge of the District Court. “There is nothing that a judicial council could do at this point,” said Arthur Hellman, a law professor at the University of Pittsburgh and expert on the operation of federal courts. The letter from Roberts does not mention Kavanaugh by name. On Saturday, Judge Karen LeCraft Henderson of the District Circuit, who originally requested the transfer, said in a statement that the court had received complaints about Kavanaugh since the start of his confirmation hearings. Washington Post writers Robert Barnes and Carol D. Leonnig contributed to this report.